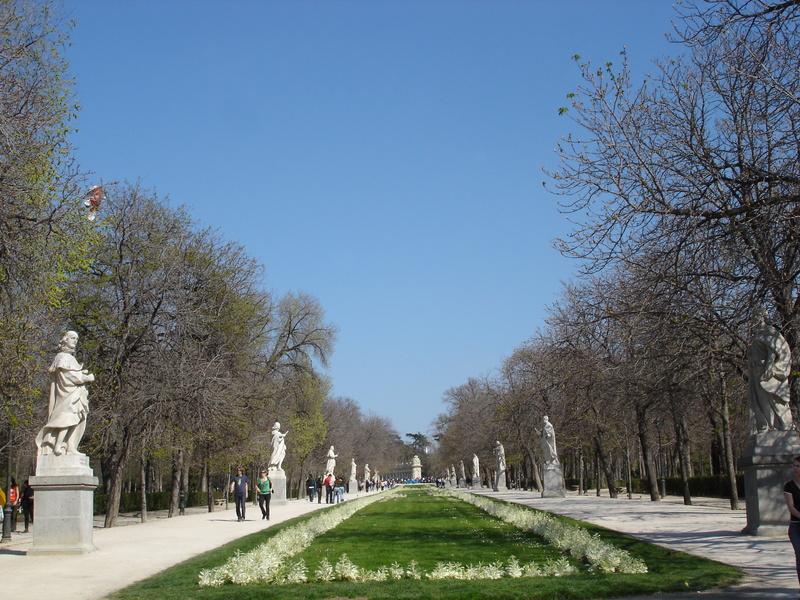 El Retiro is also known as the Parque del Buen Retiro and it is a great location that you can spend a peaceful afternoon if you want to take a break from shopping and visiting other venues. The park became a public location close to the 1900s, until then being a domain of the Spanish crown, thus a private location. The park is quite large, having a surface of 350 acres, and it gives you the opportunity to admire statues, galleries and to spend some time by the lake. If you are lucky enough, you can visit the park when the annual Book Fest takes place, but you can also listen to free concerts of the Banda Sinfonica de Madrid. A lot of other street performers can be found all throughout the park, all of them trying to impress you with their unique talents. Closest metro station: Line 2: Retiro station. Address: Plaza de la Independencia , 7. The main entries are found on Alfonso XII street and on Alcala street. The park is open daily, starting with 7AM. During summertime, you can stay inside until midnight, while in the summer the park will close at 10PM. No admission fee in the park. Since the opening in the mid-19th century, the Vondelpark has become the leisure hotspot for the Amsterdam citizens. Recently the number of visitors has grown to more than 10 million per year. Jingshan Park is a beautiful royal landscape garden immediately north of the Forbidden City. The focal point of the park is the artificial hill Jingshan, literally private://Prospect Hillprivate://. The mountainous Tijuca National Park is claimed to be largest urban rainforest in the world. It is home to 30 waterfalls, hundreds of plants and trees and hundreds of species of plants and wildlife, many threatened by extinction. Among the most popular theme-parks in the whole of Asia, two are located in Hong Kong. One of them is Disneyland, and the other is Ocean Park. The latter one is a complex of amusement parks, marine mammal parks, oceanariums, etc. Lagoa Rodrigo de Freitas is one of the most picturesque places in the city. This exotic botanical garden is one of the great tropical botanical gardens in the world. It has over 6,500 species from Brazilian and foreign flora distributed throughout an area of 54 hectares. A visit to Madrid is an excellent cultural experience and there are always new ways of enhancing this feeling. One of the best opportunities is to visit the Royal Palace, also known as Palacio Real. Plaza Mayor is located in the heart of Madrid, being an open space that measures 129 meters in length and 94 meters in width. The Dali Theatre and Museum is located in the town Figueres, a bit further from Barcelona, but nevertheless worth of visit. One of the greatest artists in the history, the man who invented cubism, Pablo Picasso, lived and worked for several years, in Barcelona. La Barceloneta is a district on the coast known for its sandy beaches. If you happen to be in Menorca when one of the traditional Summer Fiestas is taking place, don´t miss the great athmosphere of this slightly crazy fiesta.